I actually found this romper on Poshmark and it was about 5 sizes too large. I put my new sewing machine to work and within just a few minutes was able to alter it enough to fit pretty well! 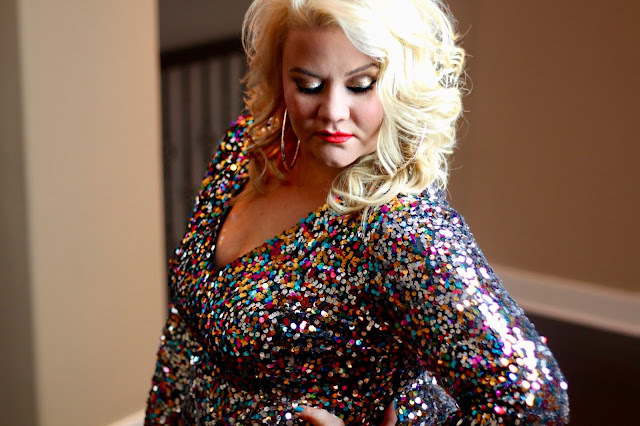 When I think of a New Year's Eve party I think full glam and glitz. 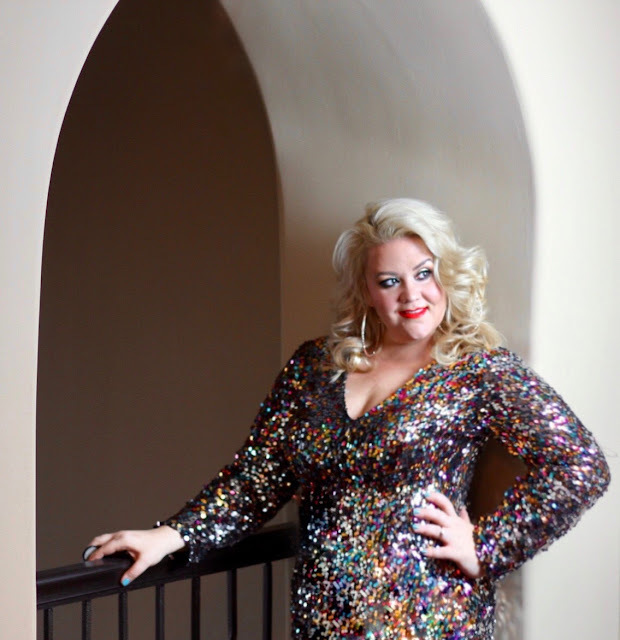 Anything sparkly and shiny, and this sequin romper totally fit the bill. It is by the brand Monif C and it was available during the holidays 2016. If you are interested in this particular romper then just keep your eyes open on any used clothing sites. But, anything with some sparkle and shine will work just fine. The makeup look was all about shiny, sparkly eyes and a bold red lip (one of my signature looks). Thank you so much for stopping by! Here's to a WONDERFUL 2018! I photographed a fundraising conference here recently. What a wonderful place for photos. I almost always hate being anywhere at 6am, but this breakfast event proved an exception. The manger and his staff from Los Angeles venues were extremely professional.